Need a bike moved, shipped or relocated? 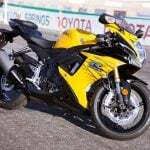 Motorcycle Shippers offers easy, convenient and even $100 discounted pricing. Keep them in mind next time you need a bike shipped. FOUNTAIN VALLEY, CA – March 26, 2018 – Motorcycle Shippers, which has transported more than 90,000 bikes around the world in 24 years, now offers no-hassle, ride-in-ride-out service at 35 U.S. locations. In addition, the service is is five days faster than standard door-to-door service. This dock to dock motorcycle shipping program even comes with a $100 discount. This program allows customers to simply ride their bikes to a transport station–no preparation, such as draining fuel tanks, removing windshields, mirrors, saddlebags or other accessories–is required. 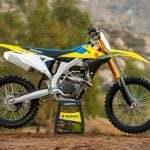 Riders are met by bike-handling experts who secure their machine to Motorcycle Shippers’ specially-designed skid. They use soft ties and unique ratchet straps along with the skid to create a secure Perimeter of Protection®. Further protecting each bike is a $7000, zero-deductible insurance policy, up-gradable for just $7 per $1000 of valuation. Pick up is just as turn-key: Owners greet their bike at a local transport station, start it up and ride away. 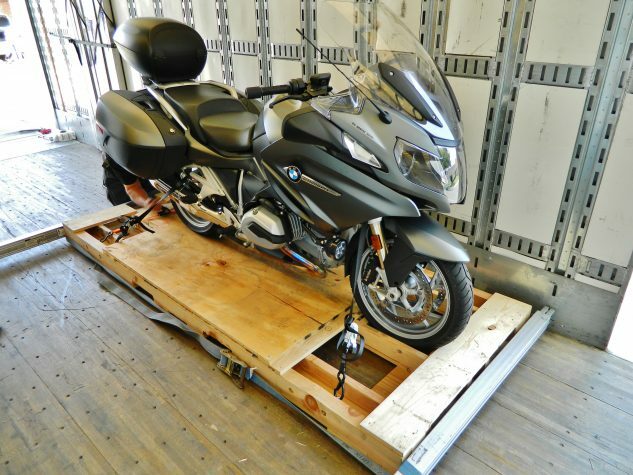 Whether sending their ride to a far-away vacation destination or rally, relocating it during a long-distance move or transporting a bike to its new owner after a winning auction bid, Motorcycle Shippers has the experience, infrastructure, human resources, shipping tools and heavy equipment to provide superior bike-transportation services. A freshly updated website enables riders to get their shipment moving 24/7 using a simple online price-quote and booking system. From there, they’ll have a dedicated, bike-crazy customer-service rep available throughout the entire shipping process. With Motorcycle Shippers, there are no variables, surcharges, taxes, residential charges or other fees hidden in fine print. There’s even a multi-bike discount of $50 per bike, per way. Motorcycle Shippers is the official shipping partner of BMW’s Motorcycle Owners of America group (BMWMOA), the California Motorcycle Dealers Association (CMDA) and the 60,000-member-strong Gold Wing Road Riders Association (GWRRA). Motorcycle Shippers’ crew of lifelong motorcyclists designed the processes, hardware, training manuals and videos exclusively for its shipping fleet of 1100 big rigs, which are efficiently dispatched by a central logistics network. Fewer people telling more trucks where to go equals lower prices and faster service than its competitors can provide. Every truck is a fully enclosed, safe, secure, air-ride rig equipped to exclusively handle high-value products such as expensive motorcycles and delicate electronic equipment–not household items or pungent produce. Hauling bikes in a First-Class cabin, they securely lock out prying eyes, as well as wind, dirt, rain, sleet, hail, snow and harmful environmental elements. 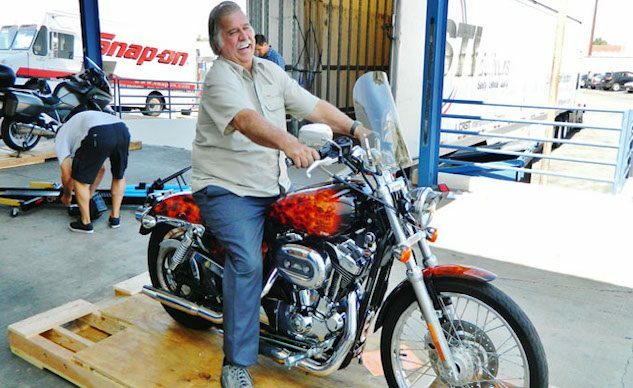 At the helm of each rig is a professional, high-value-cargo operator–many of whom are motorcyclists themselves–trained with Motorcycle Shippers-produced materials. 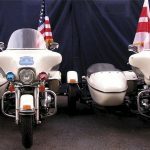 America’s leading bike-transportation supplier since 1994, Motorcycle Shippers is duly licensed with the Federal Highway Administration and the Federal Motor Carrier Safety Administration. For more information about bike transportation, visit MotorcycleShippers.com, call (800) 706-9476, visit their Facebook page, follow them on Twitter or check out their YouTube channel. 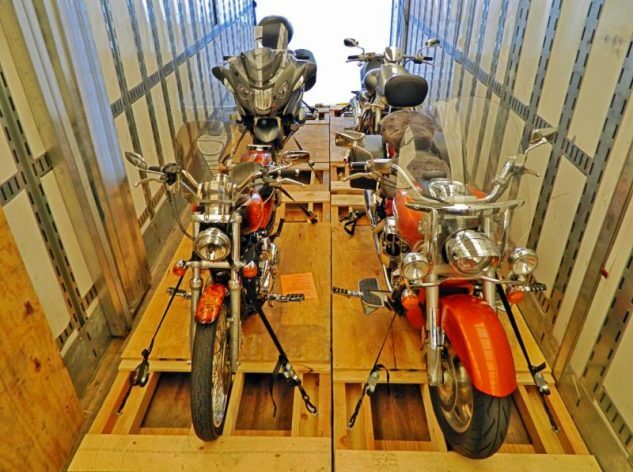 Established in 1994, Motorcycle Shippers has transported more than 90,000 bikes around the world in 24 years with the largest fleet of motorcycle-ready trucks in the United States. Headquartered in Fountain Valley, California, Motorcycle Shippers is an enthusiast-run company which developed the processes, software, hardware, training procedures, manuals and videos for its shipping partner, Specialized Transportation Incorporated. Together, they provide the fastest, safest and most affordable transport method available for motorcycles, ATVs, side-by-side vehicles, watercraft and snowmobiles.